1. Export your files as a .wav or .aiff, 44.1 or 48kHz and preferably 24bit. 2. 1/3 of the songs we receive are over level with little or no dynamic range. Don't keep raising your faders higher and higher taking your song to total distortion, because you're trying to match commercial radio volume levels. This process is done in mastering, not in mixing. 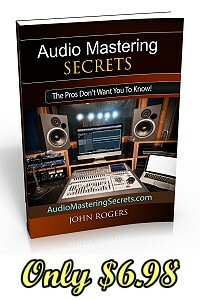 Our article, How Much Headroom For Mastering Should I Leave, explains in detail how to solve this common problem. 3. 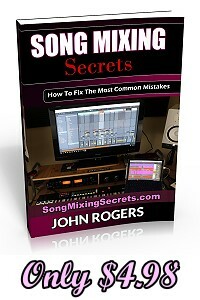 Common Music Mixing Mistakes I See Daily, tells you what problems to watch for in your mixes. 80% of the mixes we receive suffer from at least one of these common mixing mistakes. 4. Make sure your vocals aren't the brightest part of your song. If they are, they'll be unbearably bright when the overall volume level is raised in mastering. This mistake is usually made when there is no space in the mix. The music is dense or the bass runs over the vocal space, so the mixer makes the vocals real bright to try and cut through the mix. 5. Visit my mastering prices page for affordable rate with amazing results! 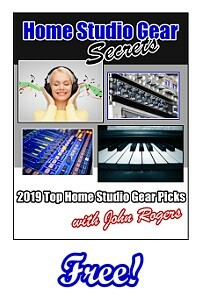 Maybe you would like to be able to master your own music.